Aaron is a technician helping collect and analyze data on several projects in the lab. He has worked for the National Parks assisting with a variety of rangeland and plant community monitoring projects at Point Reyes National Seashore and with the Klamath Inventory and Monitoring Network. His research interests are focused around plant community ecology and how management and disturbance drive plant community composition. ​Stephanie is a data analyst for SageSTEP, a multi-site, long-term monitoring project for investigating the effects of management and restoration treatments on sagebrush steppe ecosystems. 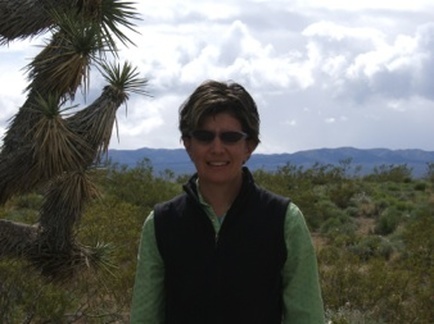 She has previously worked on projects examining soil and vegetation responses to restoration techniques in a variety of desert, forest, and wetland environments, and her interests include analytical methods, ecosystem science, and plant-soil interactions. Outside of work, she enjoys printmaking, running, and exploring new places. Elana is a research assistant working on post-fire restoration projects including the Ely BLM District fire sites, climate and restoration, sagebrush recruitment, and grazing. She has done vegetation monitoring in pinyon-juniper forests and sagebrush steppe locations throughout northern Nevada working with the Great Basin Institute. She has completed various undergraduate research involving the efficiency of climate guzzler equipment, the accuracy of carbon soil methods, and vegetative species composition and distribution on Peavine mountain. She is excited to begin pursuing her Masters soon in environmental engineering. Outside of work she enjoys hiking in the Sierra Nevada, focusing on her fitness goals, and spending time with friends and family. ​Before joining the Newingham lab, Ranae interned with the vegetation branch at Joshua Tree National Park, and with the natural resource department in Capitol Reef National Park conducting rare plant surveys. She is studying the effects of herbicide restoration treatments in the Mojave Desert, as well as effects of invasive annuals on native plant density and diversity and plans to investigate whether annual invasives alter habitat for sand dependent species. When not working, Ranae enjoys cooking, homebrewing, and exploring new trails. Rob is a grad student working under the direction of Beth Newingham and Paul Verburg of the NRES department at UNR. Rob's research interest is in soils. He began working for Beth in the fall of 2018 helping with the fabrication and deployment of equipment for the NWERN project. Before arriving in Reno, Rob worked for the Great Basin Institute collecting soil samples for NDOW. He has had a multitude of different jobs since graduating college, making him the epitome of a jack of all trades, master of none.